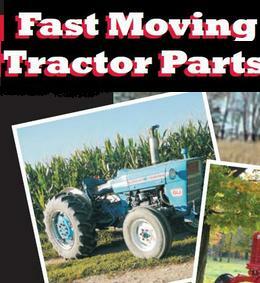 How to Choose a Tractor Starter.There are several steps to choosing a correct tractor starter. These will be demonstrated below, using several models of agriculture equipment as examples. Example 1: Know the year of manufacture:How to choose a tractor starter for the Deutz D3006. 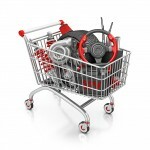 This is the simple manner in which to choose a Tractor Starter. The online catalog shows one tractor starter for the Deutz D3006, namely, the Bosch 12V / 2.4 kW. Even though there was a major serial number break in the manufacture of this tractor, both serial number breaks uses the same tractor starter.Example 2: Know the Voltage of the tractor starter.The popular Ford 2N, 8N, and 9N tractor starter comes in two voltages, namely the 6V and the 12V. Knowing which voltage starter that is on your tractor will determine which new tractor starter to choose. Example 3: Know what Fuel Type Your tractor has. The John Deere 3000 tractor has several types of tractor starter that are available. There are different types of tractor starter depending on whether the engine is a diesel or a gas engine. This info should be provided to your customer service representative to order the new replacement tractor starter. Example 4: Know the Serial Number of the machine. With the example able of the John Deere 3000, the correct John Deere tractor starter will also depend on the serial number of the tractor. The Diesel Engine uses two different types of Delco tractor starters. One tractor starter is for serial numbers below 238810, and the other tractor starter is for serial numbers above 238811. Both are Delco tractor starters, nine (9) teeth, clockwise (CW), and 12V. The serial number is the only determining factor in selecting the correct component. Example 5: Know the engine model of your machine. The Kubota M4700 tractor comes with two different engine models. There is a M4700 Kubota with a F2803 engine (from the years 1994-1999), and other models that were not manufactured in those years. Both Kubota tractor starter (s) are NipponDenso. In this case, there are two different Kubota tractor starter (s) that vary with the engine model and the year of manufacture. Example 6: Combining the above mentioned examples. The Massey Ferguson 165 Tractor, made in the USA, will have three (3) different types of tractor starter (s), depending on several factors. The MF 165 tractor starter for Continental engines, Perkins Diesel engine, and the Perkins Gas engine all has different starters. In Conclusion, Know the following information on your tractor to choose the correct tractor starter. Aftermarket part number for Bosch, Nippon, Denso, Dixee Electric, TISCO, Vapormatic. 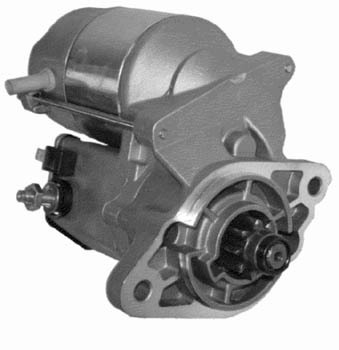 Tractor Starter (s) are stocked for Allis Chalmers, Cub Cadet, Cockshutt, Deutz, Leyland, International, New Holland, Ford, David Brown, IH, Case, Fiat, Gleaner, New Idea, John Deere, Massey, Massey Ferguson, Massey Harris, White, Oliver, Minneapolis Moline, Kubota, Perkins, Continental, and much more.